Hindsight is always 20/20. Very often we look back on some of the scariest times of our lives. We look at the fear and anxiety we faced and, with the passage of time, find ourselves able to laugh at our past selves. After all, everything turned out alright in the end, didn’t it? This can be true of anything from the trepidation that came with a high school exam to the soul searching that’s necessary to draw a bad relationship to a close. While we may look back on many terrifying times with rose-tinted specs from the safe vantage point of the present, readers who have has kids remember the near ever-present anxiety, doubt, and dread that came when they fell pregnant and their kids were born. Pregnancy and childbirth may be some of nature’s greatest miracles but they can be nothing short of petrifying for women experiencing them for the first time. We human beings have a tendency to catastrophize and see danger, doom and foreboding even in the most innocuous circumstances. What’s more, the lens of pregnancy and motherhood can have a tendency to warp and distort a new Mom’s perspective causing her to see tragedy in waiting in every bump, every unexplained pang, and every sonogram. While these things have a tendency of all turned out ok in the end, there’s no denying that the early stages of motherhood can be a time of great fear and uncertainty. These words are like a soothing balm to an anxious and fear-addled mind. They can make a nascent Mom feel that maybe she has a handle on this parenthood thing after all. That maybe she does deserve to be a mother, that maybe she hasn’t fallen at the first hurdle, that maybe everything’s going to be okay after all! Have I just given birth to an alien?!? For many new Moms, the cycle of anxiety and self-doubt begins the moment their baby is born. Literally. We’ve been conditioned by movies and TV to expect our babies to emerge from our uteruses several weeks old and may be smeared with a little raspberry jam. It’s okay, that’s perfectly normal! Oh my goodness, what’s that rash?!? Every day nascent parents are bombarded with images of picture perfect healthy, happy babies. They see them on everything from commercials and magazines to diaper boxes. We see doctored images of smiling infants with shiny eyes, huge smiles and flawlessly unblemished skin. While this image might be great for selling baby products, it can be misleading for parents. Rarely does a baby, especially a newborn, look quite so flawless. Is my baby a werewolf? Another jarring image experienced by many new parents is the seemingly uncommon amount of body hair that many small babies have. You may well worry that you’ve given birth to some form of lycanthrope or at the very least that they’re having some sort of weird reaction to your chosen baby formula. Fear not, however, a sprinkling of body hair (traditionally known as peach fuzz) on the arms, back, and ears is perfectly normal and in no way an indicator of poor health or an aversion to full moons. These little patches of hair are actually an integral part of baby regulating their body temperature while in the womb. As they don’t need it in the outside world (that’s what clothes and swaddling are for), it will shed on its own given time. For the rest of their lives, Moms will equate the sound of their children’s restful breathing with feelings of happiness and harmony. However, new babies need a little time to get the hang of all this breathing malarkey. In fact, it’s not abnormal for babies’ breathing to become erratic or for them to make strange and scary sounds while they’re sleeping. Does that mean that they’re choking, in pain or struggling to breathe? Not necessarily! My baby’s eyes are crossed? Does this mean that they’re blind? All pregnant women fantasize about the day they’ll first look into their child’s eyes. They imagine the surge of love they’ll feel when they first gaze into the baby blues (or browns, or greens or hazels) of this tiny little perfect life that they have created. However, if your first look into your baby’s eyes is not reciprocated and your baby appears cross-eyed, there’s absolutely no need to panic. As adults, we can take the mastery of our own eyes (and the muscles that govern them) for granted, but babies need some time to master even a level of muscular control that allows them to look straight ahead. Is my baby going to grow up bow-legged? 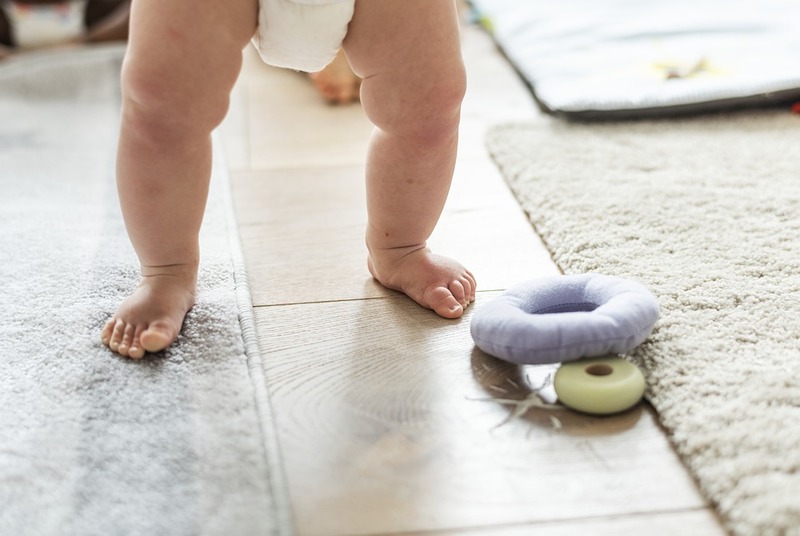 Being the seasoned worry warts that they are, many parents worry that their babies’ natural bow leggedness will be carried forward into their older childhood years and even into adulthood. Once again, we are so accustomed to seeing images of infant perfection in the media and advertising that we can see a baby’s perfectly normal bow legs as a cause for worry and concern. However, take a moment to think about it and you’ll realize that conditions are kinda cramped in your womb, and as your baby’s legs grow longer and stronger they will right themselves of their own accord. Even toddlers can still appear bow-legged, however, by the age of 3, it’s entirely likely that they will outgrow their bow-leggedness. Who hurts my baby in their sleep? It’s entirely understandable that new parents may react with shock and fear when they wake to find their baby’s face covered in little bruises and / or scratches. However, fear not! Nobody’s come to beat up your baby in the middle of the night. It’s simply a result of sharp nails, curious fingers, and uncoordinated limbs. Keep baby’s nails trimmed and you’ll find that facial scratches in the night become a thing of the past. Those random jerks and twitches look serious! It doesn’t take long for new Moms to get used to the milling of arms and legs as babies get to know their newfound appendages. However, what’s less expected is sharp twitching and jerking movements which look like they could be the onset of some sort of seizure. Yet, as troubling as this may appear, the cause is most likely your baby mastering their “Moro reflex” or startle reflex. As they get to understand the world around them better you’ll start to see this less and less. What’s that pulsing soft spot on my baby’s head? It’s okay, that’s perfectly normal!… Because most of the time, it is.